This old church was converted into a 3 Bd/1 Ba home. 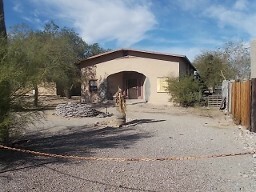 There is also a second house on the property that can be repaired for a guest house or a workshop. Over 1700 sq. 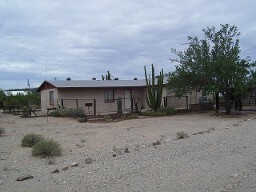 ft. are in this 3 Bd/2 Ba home on 4.28 acres. There is a spectacular view of the mountains. This 3 Bd/1 Ba is furnished. 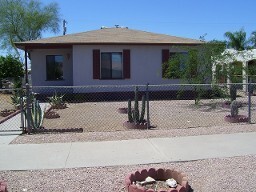 It has new cabinets, new countertops, tile, fans, a carport, covered patio, detached garage, and AC. This 4 Bd/2.5 Ba home has over 2200 sq ft. 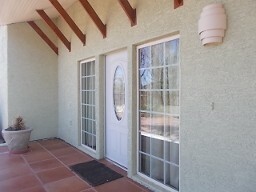 The house has ceramic tile throughout, newer windows, and has been stuccoed. There is a patio area and a built-in swimming pool. This is an ideal home for a growing family or for someone who likes their space.